Is it Time for a new Post-Modernism? Robert Venturi and Denise Scott Brown were Philadelphia based architects with a sense of humor, an appreciation for buildings with soul, and a willingness to credit and learn from the contributions of others, past and present. Robert Venturi was one of my heroes. 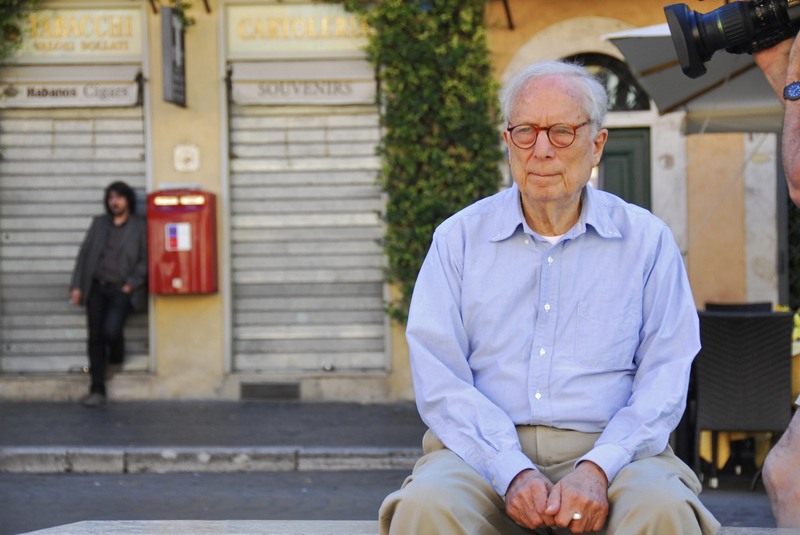 Not one obituary that I have read mentioned my favorite Venturi story: When Robert Venturi was awarded the Pritzker Prize, he said that he would only accept the award if it included Denise Scott Brown, his wife and long-time collaborator and co-author. When the Pritzker committee declined to extend the award to include Scott Brown, Venturi subversively never said “I”, only “WE” in his acceptance speech. In the age of “I did it all myself” starchitects, who famously ignore the contributions of others, especially contributions from women, Venturi’s appreciation of his wife’s partnership was heroic. Please read this collection of obituaries or this Boston Globe obit to discover some other great stories and learn more about the actual projects done by their firm. I was just in Miami, where big boxy white boxes are the standard new house design. When I talked with local real estate professionals, friends and fellow architects, I heard the same complaint over and over: these white boxes have no soul. Venturi describes the work of the modernists of the 1960’s as having no complexity, and as he drew from the past, he became the “father” of Post-modernism (a title that he hated). Venturi’s sense of humor meant that many architects did not take him seriously, and perhaps some of his projects lacked gravitas, but for me he opened a world of looking at neighborhoods in the context of how buildings can speak to each other no matter their era or style, and how it’s okay to appreciate the glitzy strip of Las Vegas. I went to architecture school in the middle of the 1970’s at the RISD. The architecture school was filled with professors who came from varied architectural points of view. There was a prof who loved Louis Kahn, another who loved Corbu, a follower of Alvar Aalto, another who was passionate about passive solar and underground houses, a Miesian/Meier afficionado, an artist architect from the British architecture studio Archigram who loved Venturi and other post-modernists, while creating drawings and paintings that were painstakingly renaissance in their detail, and who also turned us on to Aldo Rossi and Super Studio from Italy. There were formal neo-classicists and don’t forget the conceptualists who were more about ideas than about buildings. RISD was a great place that was open to ideas from everywhere, and where rules could be broken. As a person who has reviewed portfolios from young architecture graduates from around the world, I can tell you that some schools must have only one point of view these days, or maybe the starchitects sprinkle fairy dust over the students, because I see theGehry look-alikes, the Zaha Hadid wannabes, the Morphosis knock-offs, and the white and glass boxes, not quite Mies or Meier caliber, each consistently from a particular architecture school. When is the next architecture revolution coming? The tyranny of Modern in the 21st may be turning a new crop of rebellious students into Venturi influenced retro designers, open to the whole conversation of architecture. I hope that learning more about Robert Venturi will encourage them to read “Complexity and Contradiction in Architecture,” written in 1966 and relevant today. Venturi and Scott Brown encouraged us to take ourselves less seriously, to love the past, to not be afraidto break rules, to draw, to write, to teach. Rest in Peace, Robert Venturi, your spirit lives on in those of us inspired by you. My sincere condolences to Denise Scott Brown. What a partnership!